Ride and Read! NEWS by Madness Photography - Onno "Berserk" Wieringa: TIME TO RIDE – GET YOUR BIKER BOOT STRAPS TODAY! Romeorville, IL - Biker Boot Straps, the world’s leading supplier of premium boot straps, is all geared up for the spring riding season and wants you to be ready as well. After an extremely successful consumer show tour this past fall and winter to launch the all new weatherproof Biker Boot Straps, dealers across the country have been ordering the new straps to have them on hand as the spring riding season arrives. Dealers can order the complete line of the new weatherproof Biker Boot Straps, including all of the new emblem designs from Drag Specialties and Parts Unlimited. Riders can buy them at their local dealer, as well as well as major on-line retailers like J&P Cycle, motorcyclesuperstore.com, amazon.com and the company web site – www.bikerbootstraps.com. Newly designed primary strap made of durable weather proof rubber. The Sure lock weatherproof clips include a tough metal insert. Extra strength makes sure the clip stays clipped and rider’s pants stay in place. 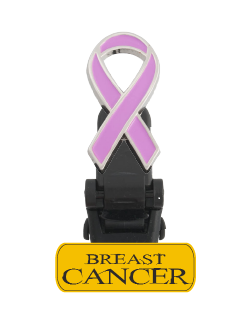 Straps come in two sizes – 4 Inch and 6 inch. Emblems are double pinned and press fit into the clips. As an added bonus, owners of the earlier versions of Biker Boot Straps can upgrade their straps to the new weatherproof version. The inventor and founder of BBS, Mike Screens said, “We had a great introduction of the new weatherproof Biker Boot Straps at the recent International Motorcycle Shows/IMS over the fall and winter. We met with many customers and dealers that immediately understood the new function, durability and value we put into our new product line. The new emblem designs were a hit - we are very happy with the launch. As a special note, the labor team at the Javats Center in New York City went out of their way to help us have a successful show – we thank the crew, as well as all of those that had a part in making our show experience a great one”. The sun is coming out – the roads are clearing – It’s time to ride! Get strapped in and grab some Throttle! 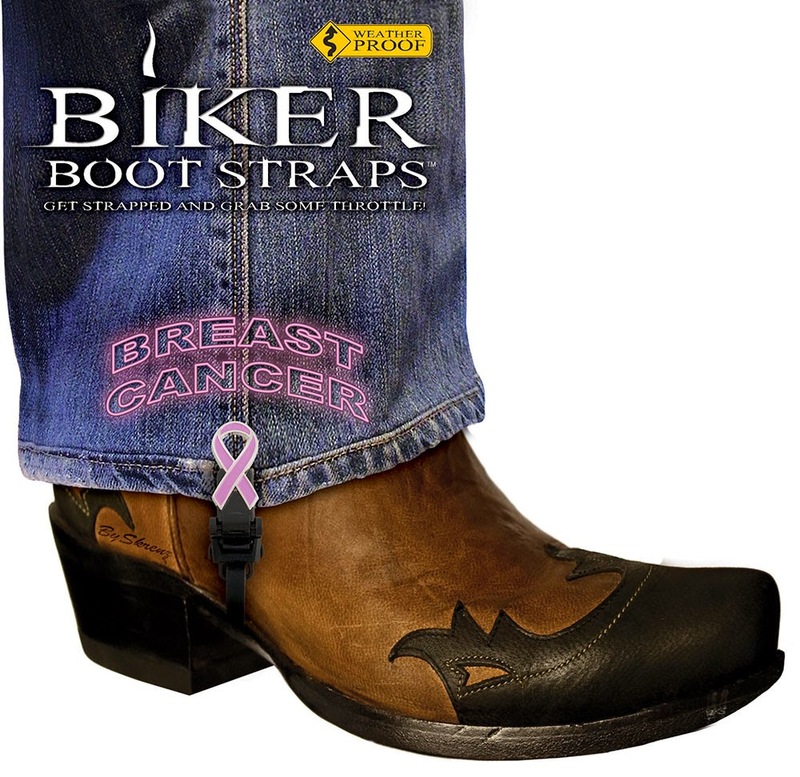 Buy your Biker Boot Straps today! 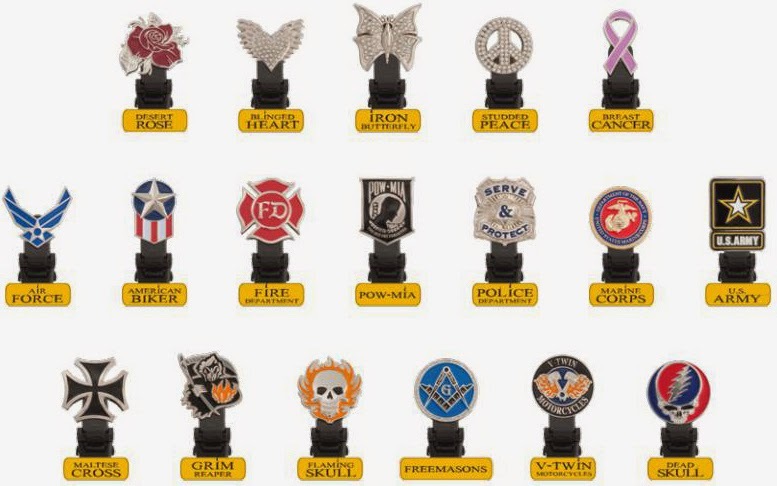 The new Biker Boot Strap Emblems that have just been introduced include: Desert Rose, Breast Cancer Ribbon, Free Masons and Dead Skull plus three all new Military designs, including Air Force, US Army and Marine Corps. If you have questions or want more information, contact: bikerbootstraps@gmail.com or visit www.bikerbootstraps.com.